The radiograph in Figure 1 belongs to a 57-year-old teacher who, owing to a knee injury as a teenager, has lived with knee pain for most of her adult life. After requiring a meniscectomy in her 20s and an osteotomy in her 30s, she battled severe osteoarthritis by her early 40s and, as a result, became sedentary and over-weight, with a body mass index of more than 35 kg/m2. She initially presented to her family doctor with complaints of knee pain while teaching her students every day. Soon the pain caused her to wake at night, requiring her to take regular analgesics. She described the pain as “9 out of 10” when she was wait-listed for a total knee arthroplasty. One year later she described her pain as “1 out of 10” and had her name removed from the wait list. The most important change while she was wait-listed was that she began to exercise under the care and guidance of experts, and it is time that we include these experts, such as kinesiologists, on our allied health care teams. However, we as a health care community seem to struggle to prescribe exercise. The likely source of this challenge is demonstrated in studies of family medicine graduates, who have shown not only a lack of confidence in managing orthopedic conditions but who also feel insufficiently prepared to prescribe exercise upon graduating.5,6 This is despite the evidence that exercise promotion by family physicians can positively affect participation in physical activity and its maintenance by patients.7 It has been shown that most physicians do attempt to discuss diet and exercise with their patients, but the average discussion lasts only about 90 seconds.8 It seems that while we are usually aware of exercise guidelines and try to educate our patients about them, most of us seem to lack the training to help our patients transform our recommendations into their actions. This patient’s journey highlights this deficiency. Early in the course of her illness, her family doctor and orthopedic surgeon recommended weight loss and informed her that regular exercise and weight training could limit pain and improve her quality of life. She joined a local gym and attempted to exercise on her own. However, she never went into the weight room because it “intimidated” her. Instead, she would briefly jog on a treadmill. She explained, “It didn’t matter what I did; I felt like I was staring at the clock and trying to put in the time.” Not seeing any positive results, she lost motivation and allowed her gym membership to lapse. Her doctors ultimately had communicated the destination without providing a road map. We are normally quite comfortable accessing our health care team for our patients; we consult dietitians readily for comprehensive nutrition advice, physiotherapists for musculoskeletal injury management, or pharmacists for dosing or drug interactions. It is time we expand that health care team to include those who can help our patients exercise effectively and safely. Sending a patient who has never exercised before into a gym, armed only with the knowledge gleaned from an office visit, is a recipe for failure. If we access the professionals in our communities who have expertise in helping individuals reach their physical activity goals, we can increase the chances of our patients realizing a long-term commitment to exercise. The patient referenced above decided to attend a facility with classes and trainers, many of whom had degrees in kinesiology or physiotherapy and certifications in personal training. Initially it was intimidating seeing athletic men and women lifting barbells and running at top speeds. However, under the guidance of the professionals, she quickly learned how to modify exercises and exercise safely. She began participating in a mixture of aerobic training with rowing and biking, and resistance training using barbells and dumbbells. She attended classes regularly for 6 months before she removed herself from the wait list. In that time, she had lost 20 pounds and had begun to sleep and teach without pain. Family medicine is ultimately a community-based discipline, and this is a core principle outlined by the College of Family Physicians of Canada.16 We are members of our respective communities and should mobilize available resources to best serve our patients. Accordingly, we should begin to seek out and include exercise specialists within our communities to be a part of our allied health care teams and whom we rely on to support our patients. The patient in this case found a resource that helped her exercise safely and effectively, and this ultimately changed her disease outlook and her life. We should be ready to guide our own patients to those resources within our own communities. Cet article se trouve aussi en français à la page 889.
. Canadian physical activity guidelines. For adults -18–64 years. Ottawa, ON: Canadian Society for Exercise Physiology; Available from: www.csep.ca/CMFiles/Guidelines/CSEP_PAGuidelines_adults_en.pdf. Accessed 2018 Oct 15.
. Canadian Cardiovascular Society guidelines for the diagnosis and management of stable ischemic heart disease. Can J Cardiol 2014;30(8):837-49. 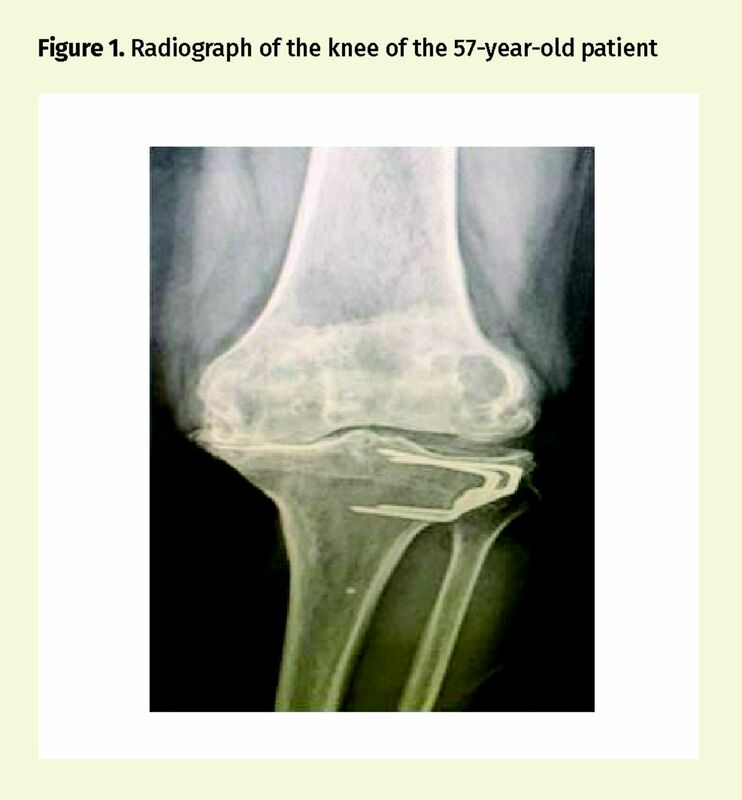 Epub 2014 May 28.
. OARSI guidelines for the non-surgical management of knee osteoarthritis. Osteoarthritis Cartilage 2014;22(3):363-8. Epub 2014 Jan 24.
. Confidence of graduating family practice residents in their management of musculoskeletal conditions. Am J Orthop (Belle Mead NJ) 2000;29(12):945-52.
. Are we adequately preparing the next generation of physicians to prescribe exercise as prevention and treatment? Residents express the desire for more training in exercise prescription. Can Med Educ J 2016;7(2):e79-96.
. Effectiveness of physical activity promotion based in primary care: systematic review and meta-analysis of randomized control trials. BMJ 2012;344:e1389.
. The content of diet and physical activity consultations with older adults in primary care. Patient Educ Couns 2014;95(3):319-24. Epub 2014 Apr 1.
. EIMC exercise prescription and referral tool. Ottawa, ON: Canadian Society for Exercise Physiology; Available from: https://www.exerciseismedicine.org/canada/support_page.php/eimc-exercise-prescription-and-referral-tool/. Accessed 2017 Nov 30.
. Certificates of Added Competence in family medicine. Mississauga, ON: College of Family Physicians of Canada; 2018. Available from: www.cfpc.ca/CAC. Accessed 2017 Nov 30.
. Manitoba physician’s manual. Winnipeg, MB: Minister of Health; 2018. Available from: www.gov.mb.ca/health/documents/physmanual.pdf. Accessed 2018 Oct 19.
. Hip and knee replacements in Canada, 2016–2017. Canadian Joint Replacement Registry annual report. Ottawa, ON: Canadian Institute for Health Information; 2018. Available from: www.cihi.ca/sites/default/files/document/cjrr-annual-report-2018-en.pdf. Accessed 2018 Oct 19. Physical activity: exercise referral schemes. London, Engl: National Institute for Health and Care Excellence; 2014. Available from: www.nice.org.uk/guidance/ph54/chapter/1-Recommendations.. Accessed 2017 Jun 5. The green prescription (GRx) process for primary health care. Wellington, NZ: New Zealand Ministry of Health; 2016. Available from: www.health.govt.nz/system/files/documents/pages/greenprescriptionprocess-forprimaryhealthcare.pdf . Accessed 2017 Jun 5.
. YMCA assisted membership. Brandon, MB: YMCA of Brandon; 2016. Available from: www.ymcabrandon.ca/wp-content/uploads/2014/04/Application-Brochure-Feb-2016.pdf. Accessed 2017 Jun 5.
. Four principles of family medicine. Mississauga, ON: College of Family Physicians of Canada; 2006. Available from: www.cfpc.ca/Principles. Accessed 2017 Jun 5.